By Kilian is the brainchild of Kilian Hennesy, grandson of the founder of the LVMH group (Louis Vuitton Moët Hennesy) and the house has two lines; L’Oeuvre Noire and Arabian Nights. Sweet Redemption starts to become really interesting when a cool note of camphor appears in the heart. The camphor is of course slightly reminiscent of Tubéreuse Criminelle by Serge Lutens, which is famed for it’s dramatic use of the note. Now, I love Tubéreuse Criminelle but the camphor in Sweet Redemption is used in a completely different way, it’s very much a supporting part as opposed to the main feature. The heart continues with warm, creamy florals and I can’t tell you just how much that is right up my street. Tuberose isn’t listed as a note but I am absolutely positive that there is a healthy dose of the carnal, white flower within the heart of this fragrance. The interest continues right through to the base where Sweet Redemption becomes warmer and sweeter. Vanilla is used to make the base creamy and smooth, and there is nothing more pleasant to my nose than the smell of sweet white flowers and vanilla. There are some glorious amber tones due to the Myrrh and an almost fuzzy edible quality thanks to the benzoin, it’s all rather lovely to be honest. Sweet Redemption feels like a finely tuned orange blossom, it’s almost as if the perfumer (Calice Becker) has looked at other orange blossom fragrances and worked to iron out the kinks and create the smoothest, warmest fragrance in the genre. Compare Sweet Redemption to another good orange blossom, Elie Saab Le Parfum and Le Parfum feels rough, and positively gauche. If you’re not a fan of white florals because you find them too harsh or screechy then I implore you to give Sweet Redemption a try, this creamy white floral may just change your mind, it’s not without it’s interesting facets but it’s not over the top either. So far Mr Kilian has impressed me, and now I need to work my way through my other samples from the L’Oeuvre Noire line, so look out for more reviews! The packaging for all perfumes within both of the By Kilian lines is impressive. All perfumes are encased within a thick glass bottle with metal armour on the side. The bottles are then kept in a plush wooden box complete with a lock and key. As beautiful as the packaging is, I can’t help but feel that it’s a massive part of what you are paying for, this is only confirmed by the fact that the refill bottles are quite cheap. Sweet Redemption is available in 30ml and 50ml Eau de Parfum. Prices range from £82 to £145 and in the UK the By Kilian line can be found in Harvey Nichols. This review is based on a sample of Sweet Redemption that I personally blagged from the By Kilian counter in Harvey Nichols. Posted in By Killian, Floral, Oriental, Perfume Reviews, Unisex and tagged 2011 Release, By Killian, Floral Oriental, Orange Blossom, Sweet Redemption, Tubéreuse Criminelle, Unisex. Bookmark the permalink. So glad I had a part in nudging you towards Kilian, you are in for a great ride. May I recommend Beyond Love – the great tuberose in the line, it should be very much your thing. Thank your for nudging me twoards the line, I’ve only sampled a few but I have been so impressed with them. Weirdly, I found a sample of Beyond Love in my sample box that I never knew that I had. It’s very cold for a tuberose, I’m looking forward to trying it some more. Blag is such a fab word! I still haven’t tried this, but I think I’ll be able to soon; apparently, Austin has all the high-end department stores (they’re just 15 miles away…). Can’t wait! Dee, thank you so much, it means a lot to hear that you enjoy the blog and that I’m part of your morning routine. It does seem that I am Evil Scent Twin with a few people, Beyond Paradise is one of those scents that most definitely seems to divide opinion. I’d be interested to hear your thoughts when when you do try Sweet Redemption. OK, hate to ask but is it worth .2,9/ml? I have tried some other releases from this house and…. they didn’t make me say “yes”. The packaging is beautiful though. Hmmm…I’m not sure, it’s a really nicely done fragrance and if a bottle fell in my lap I would be very happy. I probably wouldn’t actually spend the money though. I love Kilian! I had never been introduced to their scents. I believe that this company did a great thing allowing people to sample their scents. Great quality!! I found two I’m not sure I can do without. Thanks!! I like Beyond Love and Cruel Intentions. I agree, it was very astute of them to send out the L’Oeuvre Noire samples to people, I wish I had been quick enough in entering to get mine. There seems to be lots of love for Beyond Love, I shall have to sample it more and perhaps schedule a review. Thanks for your comments. 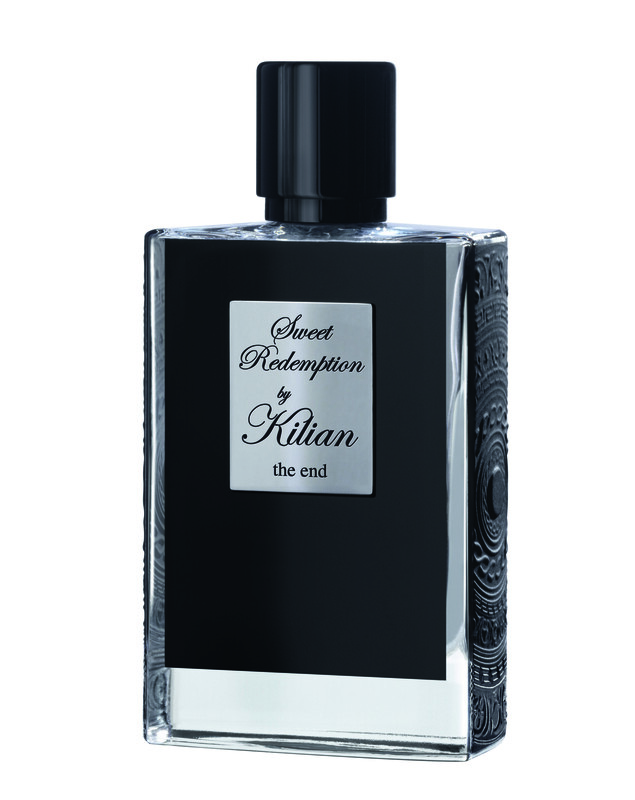 I love By Killian so much, but I do wish the fragrances were more affordable. I usually get the atomizer refills because they’re cheaper, haha! Which reminds me, I’m actually all out of my beloved Cruel Intentions – I need to stock up. Oh, don’t you worry, I have tried Back to Black and I LOVE it! I always recommend Back to Black for anyone who hasn’t tried By Killian before. Such a crowd pleaser! Like you, I stayed away from the By Kilian line for pretty much the same reasons. A sample of Sweet Redemption found it’s way to me though, and I was pretty much hooked on it. Which lead me to seek out out other samples of the line. I think I’m in trouble … I’ve now tried five different samples and I’m loving all of them. Hi Shadesofbleu, thanks for stopping by! I’m in exactly the same boat as you, I haven’t found a disappointing scent in the line yet. Be wary of A Taste of Heaven – unless a medicinal lavender bomb is your ideal! Hmmm….I am intrigued by a medicinal lavender bomb, as long as it smells nothing like the ‘Godzilla Lavender’ of V&R’s Antidote then I’m happy. Hi Tommy, I found your reaction to the development of Sweet Redemption very much echoed my own. It’s nice to find a “warm” orange blossom. I wonder if Harvey Nics have the travel refills for this yet – it amazes me that a set only cost £45, positively a bargain compared to a full bottle!. BTW I like the way you sub-divide your review – very readable as well as enjoyable. It’s good to see that we share our views with Sweet Redemption’s development. I think the travel refills are the way to go with By Killian, they are just too expensive otherwise.